STAR CITY, December 24. /TASS/. Investigators have put several questions to Russian cosmonaut Oleg Artemiev after his return from the ISS concerning the case opened over a hole in the Soyuz MS-09 hull. "There’s been no questioning in the usual sense of the term yet. Everything is ahead. I answered questions about how we acted in that situation put to us not only by investigators, but also by flight specialists," he said. 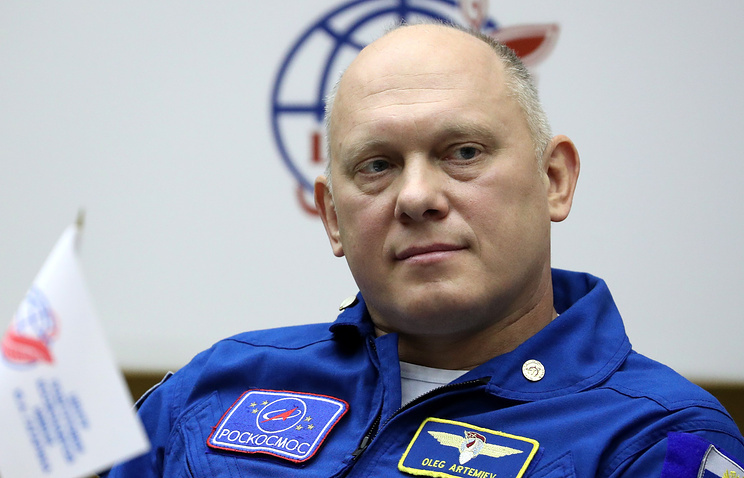 Another Russian cosmonaut, Sergei Prokopiev, said he had not been questioned yet. "It’s all ahead," he replied. Taking part in the news conference at the space training center on Monday were cosmonauts Artemiev and Prokopiev, who had patched the hole in the Soyuz MS-09 spacecraft at the end of last August. A drop in air pressure occurred on the International Space Station last August. Soon it turned out that air was leaking through a hole in the hull of the Soyuz MS-09 spacecraft attached to the ISS. Several days later specialists on Earth arrived at the conclusion the hull had been drilled from inside. Prokopiev and Artemiev patched the hole with two layers of epoxy resin. 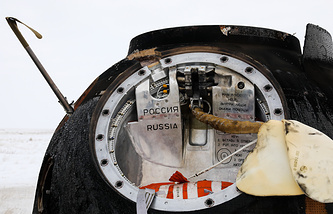 On December 12 Prokopiev and another Russian cosmonaut, Oleg Kononenko, who remains on board the ISS, performed a spacewalk to examine the hole in the Soyuz spacecraft from outside. They ripped through the thermal and meteorite protection shields to examine and photograph the hole and take scrapings from the surface for analysis. It was the first-ever instance of meteorite protection screens being been ripped through in outer space.